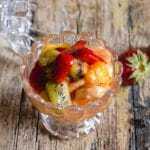 This Italian fresh Fruit Salad can be made with your favourite variety of Fresh Fruit. 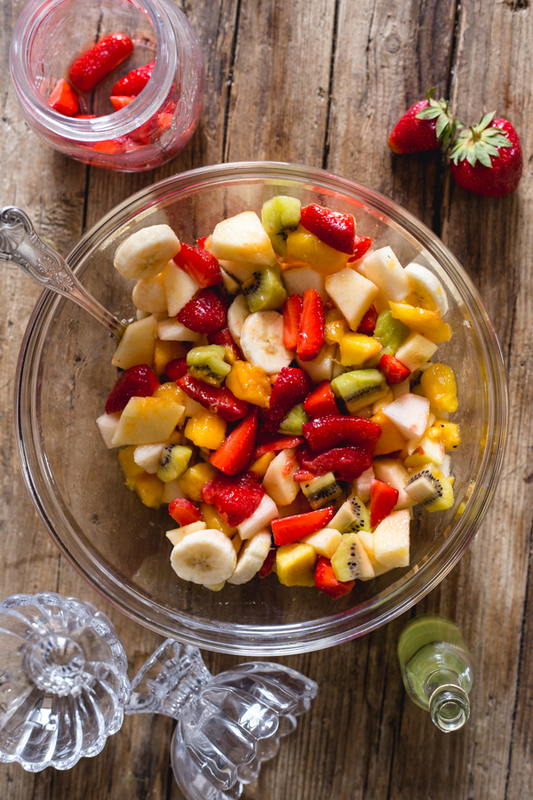 A refreshing bowl of fruit that is perfect for Breakfast or even Dessert. I knew with all the fresh fruit trees that are abundant in Italy, that my mother-in-law probably had a Fresh Fruit Salad ready to be served at any moment. My husband loves Fruit Salad or Macedonia as what it is called in Italy. Apparently the name is derived from the French word “Macédoine” which means a mixture of diverse ingredients. To tell the truth this Fruit Salad is based on the best fruit salad I have ever had. 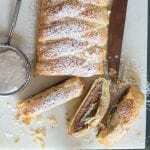 I got to taste it when we were visiting family in Frosinone. I needed to know what was in that salad! So Zia told me she added a jar of her Frozen Strawberries (thawed) and a couple of tablespoons of her Homemade Limoncello. In this Fresh Fruit Salad I added chopped banana, peaches, a pear, kiwi, an apple and of course a jar of my Frozen Strawberries that I saved from last year’s crop. But also apricots, bananas, cantaloupe, figs, guavas, grapes, honeydew, mangoes, nectarines, papayas, peaches, persimmons, and even plums make for a delicious addition. I like to use seasonal fresh fruit, I sometimes add a can of pineapple and the juice this will give it a nice addition and especially if you need some extra juice. The frozen strawberries mixed with the juicy ripe fruit actually gave me enough juice, especially when I added a couple of tablespoons of Limoncello. You can leave it out if you wish. If you use apples, pears, bananas or even avocado in your fruit salad, you need to keep them from turning brown after you have chopped. So be sure to toss the fruit with the juice of 1/2 a lemon. I like to make the Fresh Fruit Salad a few hours or even the night before and let it sit in the refrigerator before serving. Fruit Salad should be refrigerated in an airtight container. It will last for approximately 3-5 days in the refrigerator. It can be served with a little yogurt or even sweetened yogurt. Or how about a dollop of a Chantilly Whipped Cream. 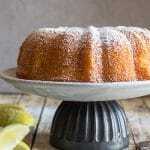 Spoon over a slice of pound cake with a spoonful of Whipped Cream for a Special Dessert. Or how about topping with a scoop of Vanilla Icecream? Or eat it like an Italian, spoon the fresh fruit salad into a bowl and grab a spoon. How ever you decide to eat or serve an Italian Fresh Fruit Salad I hope you enjoy it! 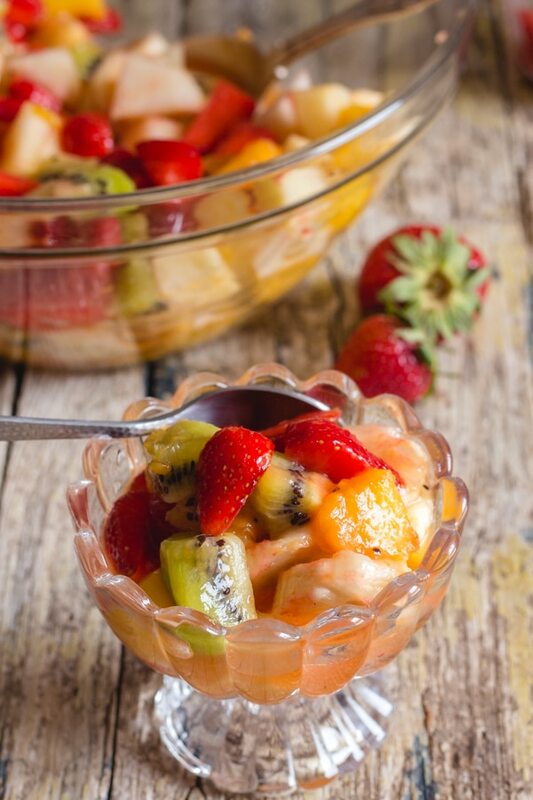 This Italian Fresh Fruit salad can be made with your favourite Fresh Fruit. 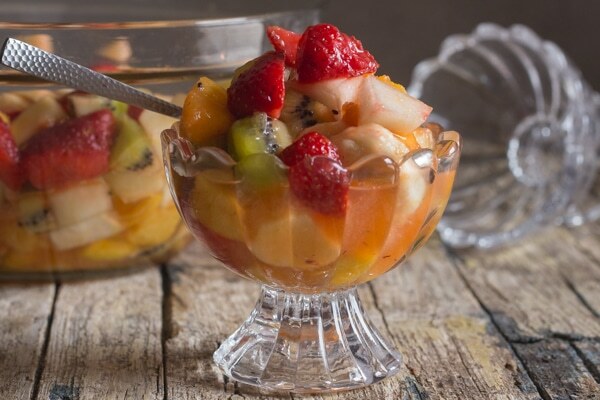 A refreshing bowl of fruit, perfect for Breakfast or Dessert. * Fresh Fruit, be sure to clean the fruit, you can leave the peel if desired. Be sure to chop the banana, apple and pear first then place in a medium bowl and toss with the juice of 1/2 a lemon. 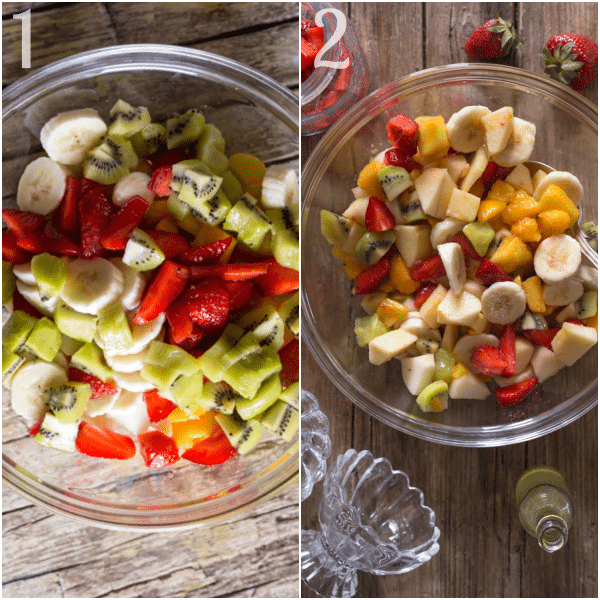 In a large bowl add the remaining chopped fruit add the banana fruit mixture and the frozen strawberries toss with 2 tablespoons of limoncello. 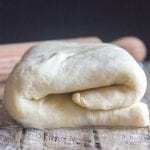 Cover with plastic or place in an airtight container and refrigerate for 2-3 hours before serving. Enjoy. If you think you need more juice then you can add a can pineapple chunks with the juice. This looks delicious. Where would I get limoncello in the U.S.? 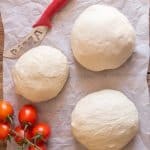 Could I use frozen lemonade concentrate? Thanks for sharing. Hi Susan, wherever liqueur is sold I think you can find it. I wouldn’t use concentrate. Hope that helps.